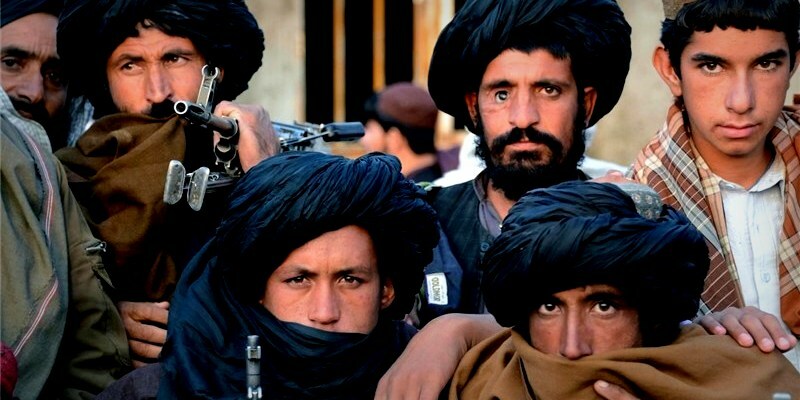 Taliban Agrees for Three-days Eid Ceasefire, Why Now? Home / Afghanistan / Conflict Resolution / Featured / News / South Asia / Taliban / Taliban Agrees for Three-days Eid Ceasefire, Why Now? First time in the history of 16-year insurgency against the Afghan government, the Taliban has offered to cease all offensive operations against the Government forces during the Islamic holiday season of Eid. However, the group has warned that this offer is not extended to foreign forces operating out of Afghanistan and it would "strongly defend" itself if it came under attack. "All the mujahideen are directed to stop offensive operations against Afghan forces for the first three days of Eid-al-Fitr," the Taliban said in a WhatsApp message to a journalist. The unexpected move came two days after the Afghan government's own surprise announcement of a week-long but brief unilateral ceasefire to be enforced over the Eid holiday period. Ghani's decision came after Islamic clerics of Afghanistan's Ulema Council — a gathering of over 2,000 religious leaders from across the country — declared a fatwa, or ruling, against suicide bombings at a gathering in Kabul. The gathering was itself attacked by a suicide bomber less than an hour after the fatwa was issued, killing 14 people and injuring several others, including religious scholars and Imams. Later, the attack was claimed by Islamic State (IS) militants. Taliban's splinter group, led by Mullah Mohammad Rasul, has announced its own version of ceasefire by directly acknowledging the fact that the group is reciprocating the government’s eight-day truce, unlike the main Taliban group headed by Mawlawi Hibatullah Akhundzada, which had earlier announced a three-day cease-fire during the Eid holiday without mention of Kabul’s peaceful gesture. The United States had said its forces and coalition partners will honor the ceasefire. The top U.S. general in Afghanistan said military operations against IS would intensify during the temporary cease-fire. Despite the announcement, officials said on June 9 that Taliban militants had killed over 40 government security personnel in attacks across the country. The government truce, which excludes the IS extremist group and Al-Qaeda, will last from June 12 until around June 20. The Taliban's cease-fire is expected to run from June 15 to June 17. Earlier on February 28, 2018, Afghan President Ashraf Ghani's "gave the most comprehensive offer" inviting the Taliban to join direct, formal peace talks with the Afghan government. The offer was made under the framework - "Kabul Process" - an Afghan-led and Afghan-owned peace and reconciliation process initiated in mid-2017. At the time he also called for a ceasefire. 1. An Afghan Vision for Peace - which should include the creation of consensus (and sustaining it) amongst regional and global actors for the existence of peace, tranquility, and stability in Afghanistan. 2. Security Cooperation - accepting the concrete collective counter-terrorism ideas from all the involved actors, and formulating the elements tailored to the specific of Counter Terrorism Confidence Building Measures. In recent years, Taliban enjoyed a tremendous rise of power and gained enormously through its anti-establishment activities. It now controls vast swathes of rural, mountainous Afghanistan, while the government retains its grip on the more populated urban centers. Despite such gains, Taliban as a group is always struggling to gather required mass support for its cause. With this ceasefire offer, the ball has gone into the Taliban’s court. For the 2015 negotiation attempt, which was pushed by Pakistan (Murree process) and supported by China, broke down in July 2015 after the revelation of Mullah Omar’s death and subsequent struggle for succession in the Taliban leadership. After Omar’s death, Mullah Akhtar Mansoor was appointed to be the new leader of the Taliban. Being generally portrayed as a pragmatic and protagonist of negotiations for a political settlement to end the ongoing armed insurgency of the Taliban and affiliated groups to topple the Western-backed government in Kabul, had created a new hope for a peace process. But, the hope died on May 21, 2016, near Ahmad Wal, not far from Afghanistan–Pakistan border, when it was reported by a United States Department of Defense official that Mansoor had been killed in a U.S. drone strike in Pakistan. According to Dr. Siegfried O. Wolf, Director of Research of Belgium-based South Asian Democratic Forum in his February 10, 2016 article at IndraStra.com on 'Quadrilateral Coordination Group (QCG) on Afghan Peace and Reconciliation Process'- a meeting which took place in Islamabad on February 6, 2016 — "...Taliban interpret the 'talks' as a broadening of the armed struggle rather than a ‘peace negotiation’. The talks are seen as an extension of their militant activities into the political arena. In other words, through the current round of peace talks, Taliban will get an additional opportunity to undermine Afghanistan’s democracy from within and to push their Islamic fundamentalist agenda in the political-administrative structure." He further added, "since the IS and other terrorist groups are not interested in a political solution, any potential results of a sustainable peace process by Afghan government and Taliban remains an illusion. Thereby, fighting will remain rather as a norm than an exception." However, in recent times, Trump Administration has also piled up the pressure on Pakistan to crack down on militant safe havens on its side of the Afghan-Pakistan border. And, it appears that the same pressure has been passed on (in some form or other) from Pakistani administration to the Taliban's decision making council — Quetta Shura (which is based out of Quetta, Baluchistan and considered to be intellectual and ideological underpinnings of the Taliban insurgency), because of which Taliban has been pushed to agree to a ceasefire. With alignment to that pressure, in March 2017, U.S. Defense Secretary Jim Mattis stressed (during his Kabul visit) that the military campaigns are aimed at driving the insurgents toward a political reconciliation, as opposed to an outright battlefield defeat. Mattis statement can be considered as an extension to his last one (which he made during his sub-continental visit in September 2017) when he said that the United States would "watch" Islamabad’s choices. Now it is extremely crystal clear, Afghanistan as a country is itself at a very crucial juncture where peace will either born or will die prematurely. The announcement of this time-bound ceasefire can be considered as a massive development and it included more realist options for peace, only if implemented in a "good spirit" by the support of all the actors, especially those who are having a legitimate interest in the region.